Ingham and Eaton county students now have a shared ally to help them navigate the steps towards postsecondary education. 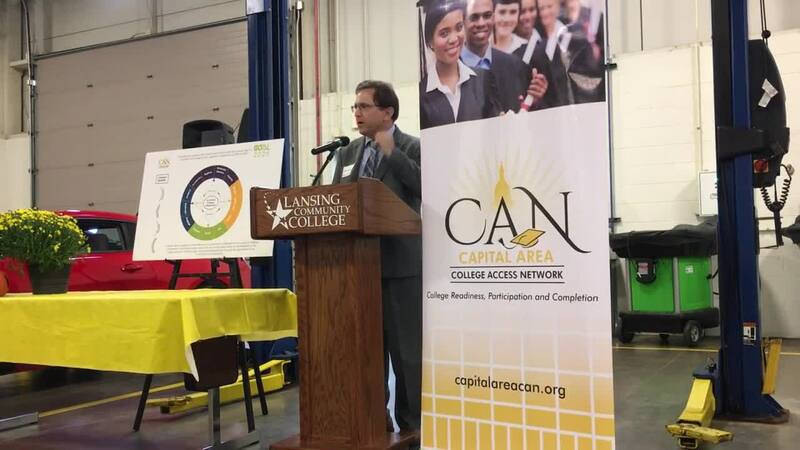 The Capital Area College Access Network (CapCAN) Board of Directors is pleased to announce that Eaton County will join the regional network to promote college readiness, participation and completion. Ingham and Eaton county students now have a shared ally to help them navigate the steps towards postsecondary education. The Capital Area College Access Network (CapCAN) Board of Directors is pleased to announce that Eaton County will join the regional network to promote college readiness, participation and completion. This school year, six Eaton area high schools will receive support to expand college access services including college advising, college application support, and FAFSA completion. CapCAN is a community collaborative focused on making completion of postsecondary education an achievable reality for all residents in the capital area by fostering high educational aspirations through the alignment of institutions and resources.